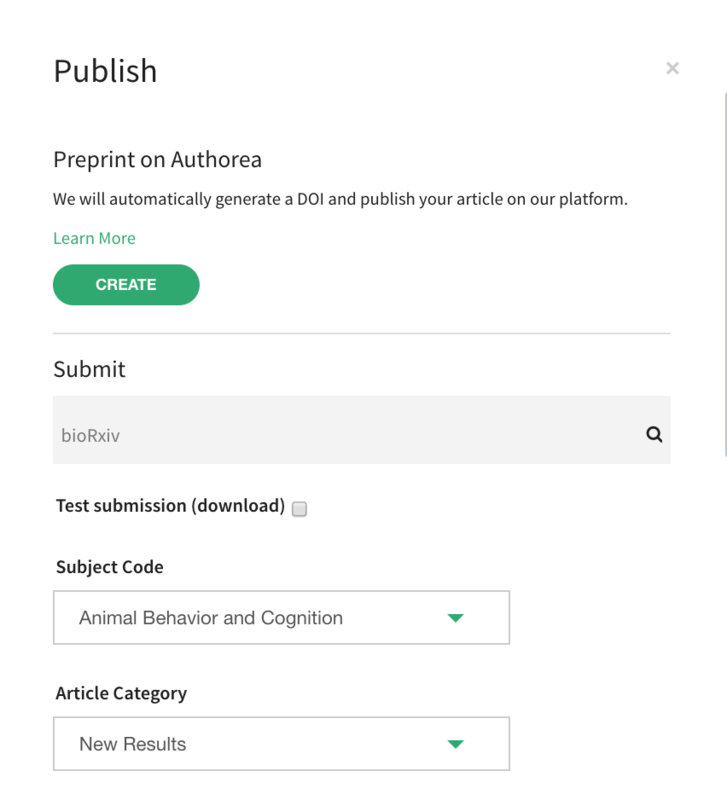 Authorea allows direct submission to bioRxiv from any Authorea document. To submit, make sure your document is complete and ready for submission then follow the following steps for submission. 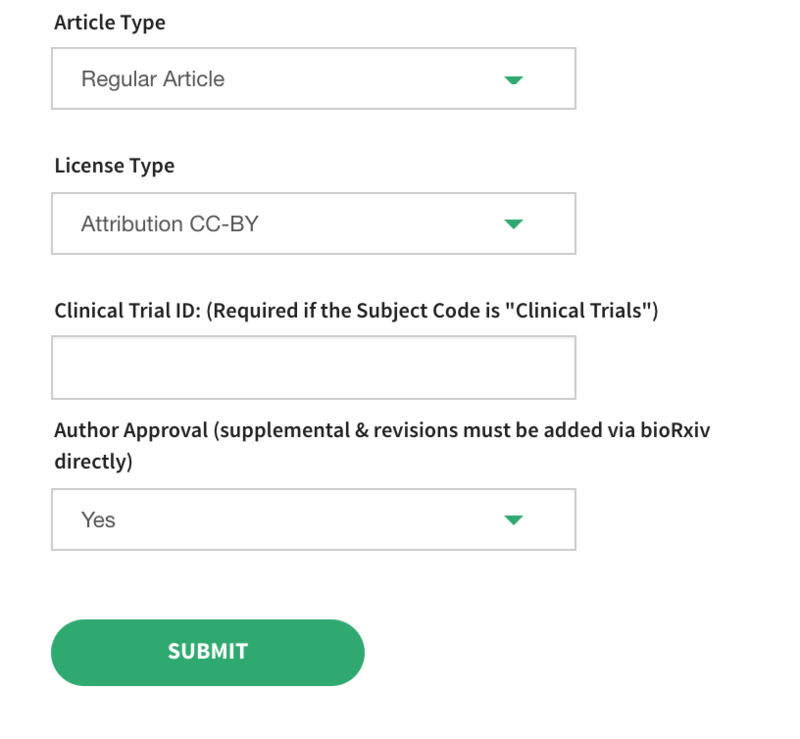 *Please note that ORCIDs can&apos;t be included at the moment and papers with Organizations as an author must be submitted directly at bioRxiv instead (submit.biorxiv.org). Search for bioRxiv in the search field.